Enjoy freshly made pizzas, meals and great coffee daily at this long standing Buller favourite. Snow Pony offers a creative sharing menu in beautiful and cosy surrounds. Step off the slopes and savour a little piece of Europe, and some of the finest food on the mountain at Tirol Cafe. A long standing favorite of Mt Buller regulars for a memorable evening out, known for its outstanding cuisine, service, and ambience. Signature offers a fine dining experience, with a continually evolving menu. The Loft at Breathtaker offers a cosy spot to relax with great food and drinks. Head to Oli's Kitchen in the brand new Buller Central development and enjoy delicious Italian classics. 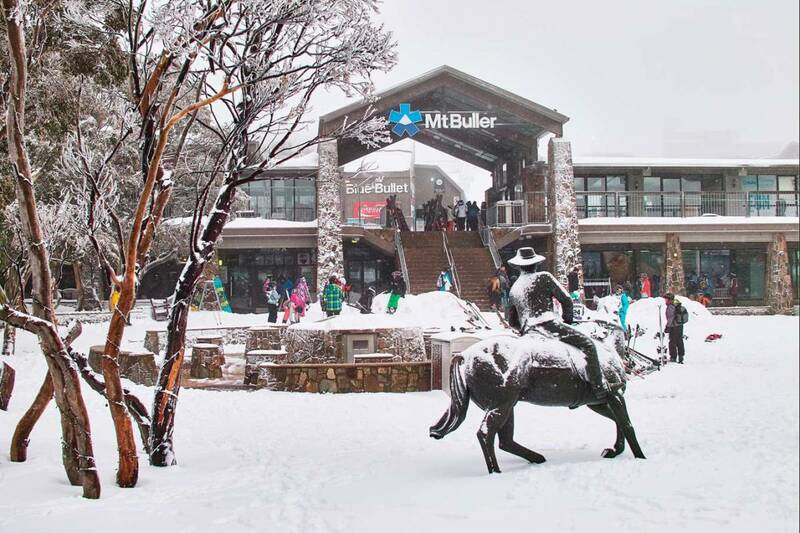 The Powder Bar is Mt Buller's newest bar and restaurant! Make like Europeans and head straight for the après-ski! Pats Italian has become a hot spot, known for its fabulous food, reasonable prices and fun atmosphere. Cosy, friendly dining at Hotel Enzian located close to the village centre offering outstanding food at a reasonable cost. Enjoy a cocktail or a local vintage wine in front of our roaring fire before casual fine dining in an alpine atmosphere with spectacular views over the High Country. The Moosehead is open on Tuesday evening for Parma Night and Sunday evening for Roast Night over the winter season. Visit the restaurant @ Duck Inn for a delicious menu featuring classic duck dishes and Duck Dinner for Two. You haven't truly skied at Mt Buller unless you've stopped in at Koflers for lunch! Drakes Lounge Bar is located at Duck Inn. Enjoy a cold beer or a 'ducktail'! Fresh and healthy fish and chips right in the Village Square! Spurs Cafe offers the best views, delicious range of Hot Chocolates, Coffee and fresh baked muffins. Perfect pizzas and delicious Italian food served with style at Alpine Retreat. The Dump Inn is a very popular function room at MT Buller. Suited for conferences, parties or dinners. Let us help you make your night! Visit Mt Buller's only Asian-infused food court. Enjoy great comfort pub style meals for all the family at Nooky's. Offering great meals and entertainment and daily happy hour it is definitely the place to be! Relax over coffee and great meals and pickup ski hire before heading through the resort entry gates. Cosy traditional Austrian style bar offering a great range of wine and beer at reasonable prices. JD's Pizzeria at the Arlberg Hotel has arguably the best pizzas on the mountain, made fresh daily! Head to Burger Haus for sensational gourmet burgers. Ski-in and ski-out to the Arlberg Bistro & Bar and enjoy great coffee and bar meals. 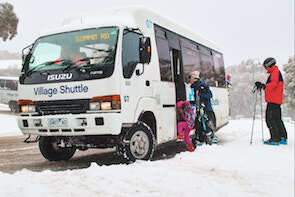 The Kooroora is one of Mt Buller's favourite watering holes. In the foyer of Breathtaker All Suite Hotel, BT Gourmet Pizzeria uses only the freshest ingredients. Come visit The Ski Club of Victoria's Coffee Garage for a great coffee, and more. With a modern rustic decor, Cattleman's Cafe is conveniently located right in the heart of the Village Square. Enjoy an apres ski schnaps, pre-dinner cocktail or nightcap in this intimate and popular cocktail bar.